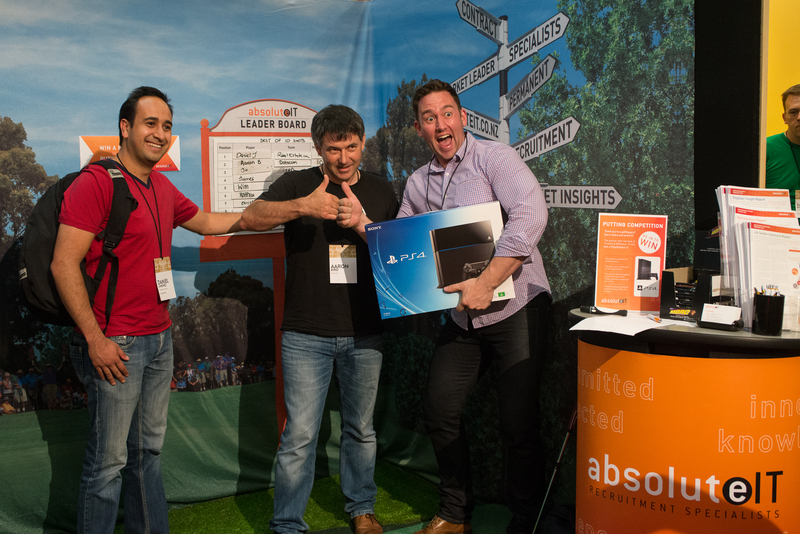 We had a great time being a sponsor at the sell-out Webstock 2014. There was an awesome buzz about the place with speakers, workshops, food and beer!! 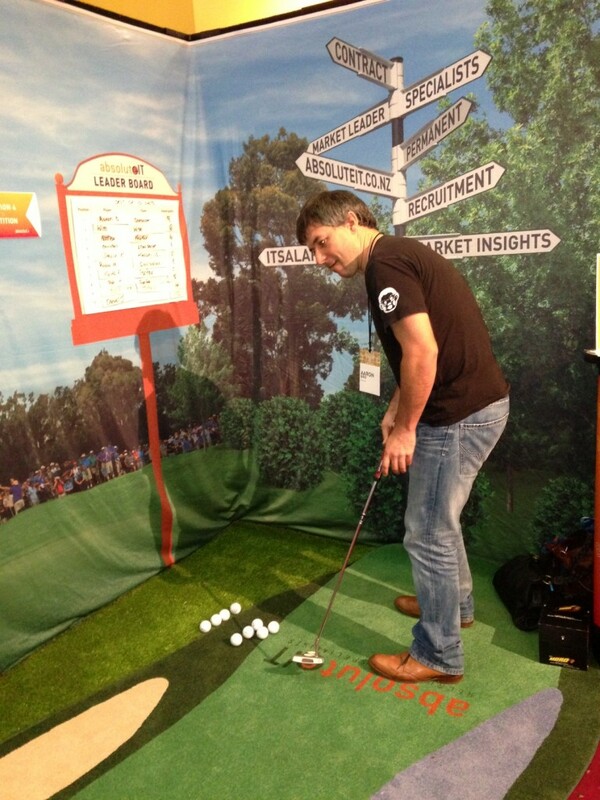 We spoke to some interesting people as well as doing our world famous in New Zealand mini golf tournament. Could the IT gurus pot all 10 balls? 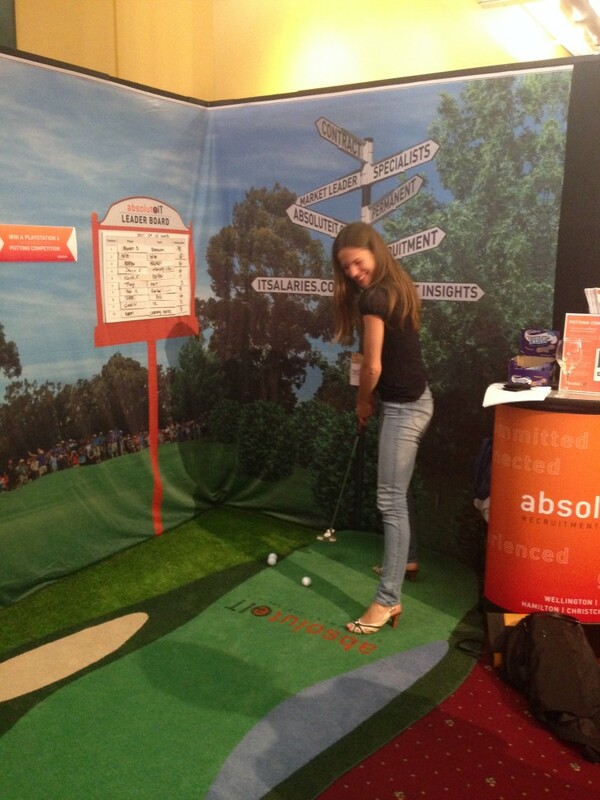 Yes they could, which resulted in a play off between Aaron Bird from Datacom and Daniel Jimenez from realestate.com.au. After a nail biting final Aaron came away a happy man with a brand new Play Station 4. A great couple of days, we will see you next year Webstock! Here is Aaron been awarded with his PS4 from Mat with the gracious runner-up Daniel.